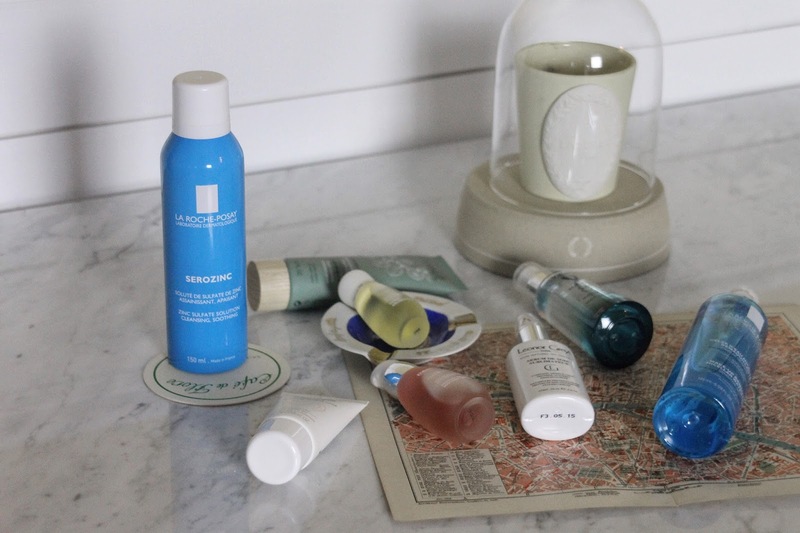 I'm no stranger to the wonders of French beauty products; if you're a regular here, you'll no doubt see them popping up in posts more often than not. But, admittedly, while I love a luxurious French product, I love scouring the pharmacies when I visit France even more. The pharmacies are truly treasure troves when it comes to hair volumizing and refreshing products, pore clearing masks, eye-depuffing creams and gentle acne solutions. I'm telling you - the French have a pharmacy solution to every beauty woe you could ever imagine...and they are all chic! A month ago, when I was in Paris, I took a few trips to these beauty meccas to see what I could find. 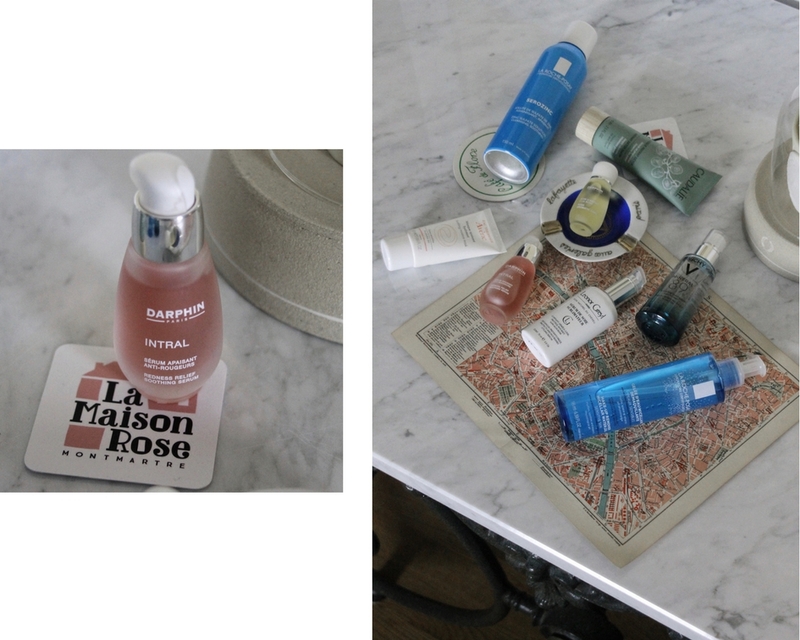 Below are some of my new French pharmacy discoveries, mixed in with old favorites. 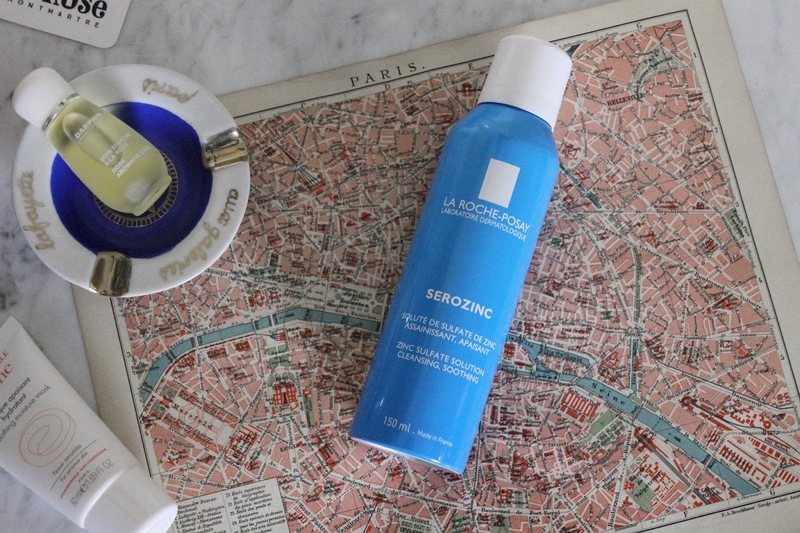 La Roche Posay Serozinc - A miracle-working toner that contains zinc sulfates. This fine mist soothes redness and irritation, balances oiliness, and keeps skin clear. P.S. This used to be extremely hard to find...but you can now find it stateside! Darphin Intral Redness Relief Soothing Serum - If you suffer from redness when you have dry skin, this thin fluid serum will solve all your problems and soothe skin. Avene Soothing Moisture Mask - One of my all-time favorite masks; it plumps up the skin and seems to fill in fine lines. In all honesty, it just feels good to use. I'd compare it to a glass of water for the face. Vichy Mineral 89 - I've been totally addicted to this hyaluronic acid serum lately. It provides supreme hydration, but is light, dries matte and never clogs pores. 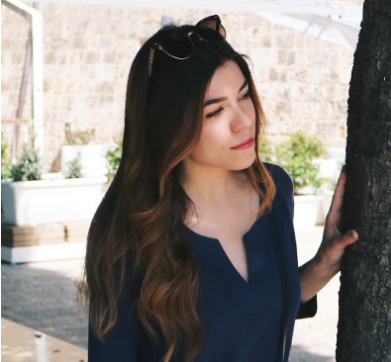 Leonor Greyl Protecting and Nourishing Serum - This all-natural hair product is one of those multi-taskers that I love to use when I'm not in the mood to faff around with a full routine. Just smooth a pump or two through the mid-lengths and ends of hair for smooth, bouncy strands. Darphin Rose Aromatic Care - One of the original skincare oils, and still one of my favorites! Darphin makes one for every skin type, this one works great on dehydrated skin. It helps to balance moisture and smooth the surface. Caudalie Instant Detox Mask - Enriched with coffee and pink clay, this mask instantly draws out impurities and smooths the skin. I reach for this one when I need to keep breakouts at bay. La Roche Posay Makeup Remover Micellar Water Gel - This is a unique cleanser that is gentle on the skin and removes makeup using the same spheres in Micellar water. I love how refreshing this feels on the skin, and that it doesn't foam up or strip moisture.